Are you just getting started with Mac or iOS development? ?Maybe just trying to improve what you know? ?Here is a great resource from Dave Mark. ?Everything is covered including blogs, conferences, forums and official Apple documentation. I went looking for a reasonably recently updated list of dev resources to link to from the article. Couldn?t find one I was happy with, then remembered that we included a pretty solid list at the end of the book Beginning iOS 6 Development. Since that list needed to be updated for the iOS 7 rev of the book, I thought, why not pop the list into a blog post. And here we are. At its core, programming is about problem solving and figuring things out. It?s fun, and it?s rewarding. But, at times, you will run up against a puzzle that just seems insurmountable?a problem that appears to have no solution. In those situations, it?s good to have friends in high places. This post outlines some resources you can turn to when you?re in a bind. So add?Resources for Mac and iOS Developers? ?to you reference list and be sure to check out the post comments for some other great resources. Dave also has a great list of developer tools as well,?Dave?s List: Apple Dev Tools? I’ve been spending a fair amount of time with Xcode 5 and iOS 7 lately. ?I can’t mention specifics, but I can say it’s a direction I am very happy to see. ?There are a lot of good things happening in there. As it turns out they were right on the mark. 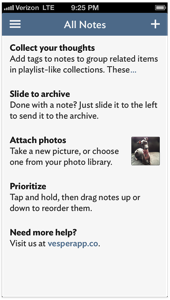 This style of clean, edge-to-edge design that emphasizes content and deemphasizes the interface was exactly where iOS 7 was headed. As Jony Ive explained in the WWDC keynote address, ?In many ways, we?ve tried to create an interface that is unobtrusive and deferential. One where the design recedes, and in doing so actually elevates your content.? And that?s exactly the effect we see in Vesper. Without toolbars, without even separator lines between table view cells, Vesper draws users? eyes to the content so they can quickly access their information and be on their way. This deference to content is going to be a hallmark of iOS 7 design and will be something for all developers to keep in mind as they plan for the future. With so much of iOS 7?s new design anticipated by Vesper, it?s natural to wonder how much of this is coincidence. Did Q Branch get tipped off? Or is this just a matter of great minds thinking alike? Who knows. With this group of characters, it could be either or both. Ultimately, though, it doesn?t really matter. What matters is that now we all can see the new direction that iOS is heading. We know that in iOS 7, content is king. We know that in iOS 7, color and animation are more important affordances than ever before. And thanks to Vesper, we now know that it?s possible to combine these traits of iOS 7 to create a unique app that retains an individual identity while at the same time fitting into the rest of the iOS 7 ecosystem. If you?re one of the many now thinking about your own app and its transition to iOS 7, I suggest that you consider what lessons you can take from Vesper. It?s a great app, but I think we?ll soon see that it?s a great iOS 7 app as well. I don’t use my iPhone enough to make a commitment to Vesper but an iPad version would be a quick purchase. ?Of course the $4.99 price tag might be a cheap investment to learn a bit about design. I subscribe and listen to a lot of podcasts. ?I wrote about some of my favorites before,?7 Great iOS and Mac Developer Podcasts to Learn from Today, and I wanted to share some more today. Hosted by Myke Hurley, CMD+Space?is a show with interviews various independent Mac and iOS developers from the perspective of running their businesses and how they got to where they are today. So many developers go independent all the time and could use some solid guidance. CMD+Space is on then 70decibels network which hosts many other shows that you might find interesting. Hosts Guy English and Rene Ritchie have been running this podcast for the past few weeks but it quickly became one to get sync’d to my iPhone for listening while driving or daily walks. Debug is also an interview show with well-known Mac and iOS developers. ?As often happens while I listen to interviews various questions come to mind that go unanswered, not the case here. ?These guys seem to ask the questions I want answered. ?Coincidence? ?Most likely but the great questions result in solid advice. Hosted by Michael and Brent Simmons, they discuss various topics important to Mac and iOS developers who are mainly independent but also those gainfully employed at companies large and small. I stumbled across Identical Cousins while listening to another podcast, which is often the case. This podcast is a bit different with a focus on the design side of mobile development for Mac, iOS and Android applications. Iterate is hosted by Rene Ritchie and others. 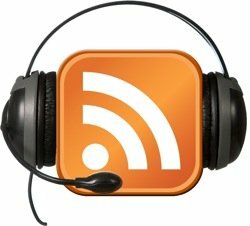 ?Rene seems to be a repeat name here and other podcasts including MacBreak Weekly. It’s been a while since I had the time to post anything but I wanted to share this great summary post by Chris Risner of the Microsoft Azure team where he is focused on mobile. Chris blogs each day in January about a specific topic iOS developers may face in their applications. 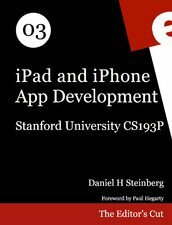 ?The post is titled 31 Days of iOS and each post is a detailed tutorial on a specific topic that day. ? Chris is speaking at CocoaConf DC in March, in case readers are planning on attending. ?I will be there. 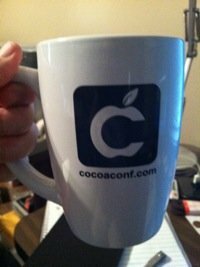 I recently had the chance to attend CocoaConf?DC in Herndon, VA, June 28-30 at the Crowne Plaza Dulles. ?Unless you have been living under a rock, you have heard of CocoaConf but for those that haven’t, CocoaConf is a small, focused iOS and Mac developer conference. ?The idea of CocoaConf is to be small, intimate and come to you. ?Conferences such as Apple’s WWDC are huge (5000+ attendees) and it costs people a small fortune between conference ticket, travel, lodging and food. The people behind conferences are usually the ones that make or break the experience. ?Sure one can say it’s the sponsors or even the attendees but without good organizers, it just doesn’t work. And they homeschool; impressive indeed. ?I’ve ever seen this before. ?I have seen friends and associates but never a family. The Klein family did a fantastic job of running this conference, well organized and very attentive. Although the conference is touted as being in Washington DC it is really in Hearndon, VA. ?It seems all the VA towns near DC consider themselves part of the city. ? The conference was held at the Crowne Plaza Dulles. I have attended a few conferences at a Crowne Plaza and they always please. ?They really are a conference center and do a fantastic job of taking care of both guests and attendees during the conference. ? I have to say the food during the 3 days was the best food I have seen so far at a conference. ?Each day included breakfast and a huge hot lunch in buffet format with food for each palette and eating disorder, er I mean eating selection. The discounted room rate really made a big difference as well. Chris Judd taught an awesome iOS Tutorial on the day before the official conference started. ?I was fortunate enough to be able to attend and learned a bunch along the way. ?I wanted to pick up some tips, especially for Storyboarding, and it was well worth it. ?I was exhausted after this intense day. Even if you are an experienced developer, take this day of training because you will have an audience to ask questions of and learn some things along the way. It was great that we were kept busy and having an NSCoderNight was awesome. I ?have always wanted to attend one of these hacker nights but none exists in our area and hadn’t had a chance while traveling. 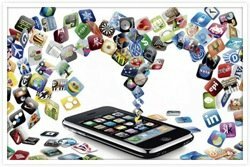 ?It was a great time with people just sitting around discussing iOS and Mac development along with other aspects of their business or job such as supporting Android with a big application across many handsets. ?Good content. The session list for CocoaConf was long and consisted of a who’s who of the Apple developer community, including Daniel Steinberg, Chris Adamson, Mike Ash, Mike Dalyrmple, Chris Judd, Saul Mora, David Smith ?and other great local speakers.. ?The topics covered a large array of topics with an audience ranging from beginner to experienced developer. ? Enter the Matrix by Mark Pospesel – this was my favorite talk and really let me see the power of the iOS framework. ?It was all about 2D and 3D graphics with transformations, scaling and rotations. ?Mark really knew his material here and showed it with the demo application he created for the talk, it showed off all that the framework could handle as well as how good of a developer Mark is. ?Great talk. iOS Computer Vision by Jonathan Blocksom – this talk also exemplified how the iOS 5 SDK and OpenCV libraries can extend what we can do with applications today and use augmented reality to create some really crazy applications. ?The augmented reality demo was mind blowing. The Wonderful World of Text by Chad Sellers – handling text in iOS or Mac application is not something that gets a lot of coverage but lot of apps do it. ?Chad is the owner of Useful Fruit Software and creator of Pear Note for the Mac and iPad. ?Both apps make heavy use of text and we got to see some experience with text while making his products. ?Great guy to speak with as well. Getting to Know Core Data by Whitney Young?- this sounds like it might be a beginner’s talk but it wasn’t. ?Whitney uses Core Data daily and knows it really well. ?He gave attendees the real insight into using Core Data with iCloud and what is possible and what Apple tells us. ?Very insightful and valuable content. There were 3 tracks and a total of 30 sessions and a keynote on Friday evening giving us knowledge until 8:00pm. ?After the first two days, my brain was truly mush and I was very exhausted.? One of the reasons I like to attend conferences is because of the other attendees I meet. ?I always find the story of others interesting and inspiring. ? I met a lot of people and made many new friends all from different skill sets and walks of life. ?I heard many stories of application success and some failure. ?There were people who had been writing Objective-C since the early days while others just starting out. It’s also inspiring to see young people finding enjoyment in coding. ?Conferences don’t seem to attract young people but at CocoaConf there was one exception. ?A young developer who came all the way from Texas to join the fun and learn. ?He was 14 years old and already had 5 application in the Apple App Store. Quite an accomplishment with the demands of school today. ? He was very well-spoken and a pleasure to talk with. This conference is small, 80 attendees or so. You can almost meet every person if you try over the 3 days. I really had a great time at this conference. ?I have attended many conferences over the years and the combination of the great group of organizers, venue, content and the attendees, made this the best conference I’ve attended. ?I would certainly recommend this to others and I will return to another CocoaConf. Did I mention the swag? ?T-shirt, logo’d notebook and pen, bag and an awesome coffee mug. CocoaConf is not an annual conference but is run many times over the course of a year in a various cities, making it easier for you to attend. ?The next city is Columbus, OH, August 9-11 and future cities with unannounced dates are Raleigh, NC and Portland, OR. The only thing I would change or add to this conference is recording of sessions. ?I know it’s expensive and some speakers don’t want it but it would help overcome the tough choice of which session to see in a multi-track event. ?It’s minor, but would be nice.